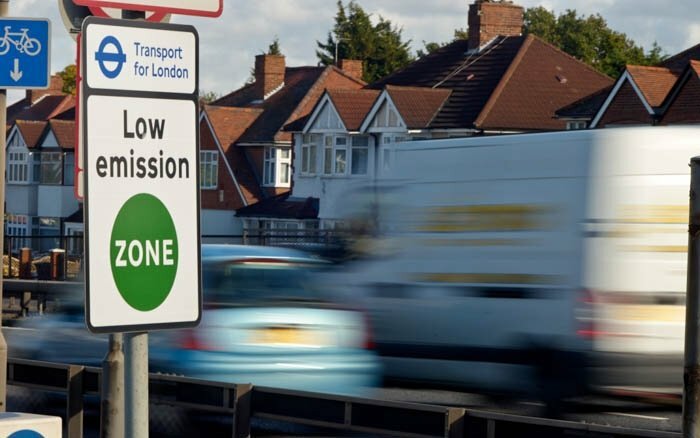 Working and living in London is often a dream come true for many people, however, getting to and from work is becoming increasingly more difficult for many with the Low Emission Zone (LEZ). What is the Low Emission Zone? The Low Emission Zone has been put in place to encourage the most polluting heavy diesel vehicles in London to become cleaner. It works by charging a traffic pollution charge in certain zones, with the aim of reducing the exhaust gas emissions of diesel-powered commercial vehicles in London. The LEZ operates in most of Greater London, meaning getting about can be very expensive! To make it a little more difficult, from the 8th April 2019, new and tighter emission standards are coming into place. The new Ultra Low Emission Zone (ULEZ) will affect petrol and diesel vehicles in Central London. Which means, if your vehicle is currently meeting the LEZ emission standards, it may not meet the ULEZ standards. Vehicles that do not meet the minimum emissions requirements will be charged £12.50 per day to enter the zone, this includes cars, motorcycles and vans. For larger vehicles such as 3.5 tonne lorries, they can expect to pay £100.00 per day when entering the zone. What does this mean for employees working in London? While this is a positive step to help make London greener, the new legislation affects thousands of vehicle owners throughout London, from delivery trucks through to the everyday employees. Going to work has added additional charges as many people still need their cars to carry equipment to and from work and for those that live outside of London and work in the central, they may now have additional costs if they’re looking to use public transport more. As many people know, the living costs in London are higher and not everyone is earning enough to combat this change. This can have an effect on your employees’ mental health if they’re worried about money and how to get to and from work. Additionally, public transport isn’t always reliable, meaning despite setting off extra early, your staff may be late for work at no fault of their own, reducing the number of hours they’re putting in at work. Where possible, businesses should promote working from home, not only will it reduce your businesses overall costs in the long run, but it also means your staff’s mental health, productivity, effort, and their disposable income will all improve. How can I help my employees? If you can implement flexible working schemes, it would benefit your business greatly. Additionally, if you’re looking for new employees, it may be time to start looking for home workers. Not only will you see a greater skill set, as the location will no longer be an issue for many, but you will also see a positive effect on your business in terms of attraction, retention and productivity. One survey from Lenovo found that more than three quarters (76%) of those that have no commute by working from home are overall satisfied with their job, and a third (37%) of those surveyed admit to choosing their current role based on its close proximity to their home. Furthermore, the Centre for Economics and Business Research (CEBR) calculates that 57% of UK workers are in non-physical roles, which makes remote working perfect. As a result, if those workers were to spend the time they commute working, CEBR estimates there would be a £20bn boost to the UK economy, highlighting how valuable that time is. By employing more homeworkers, you will also be heading in the right direction to make your own business more ‘greener’ by reducing its carbon footprint. At Abodoo, we help businesses find professional talent throughout the world. It offers faster sourcing and matching of candidates, meaning you will only receive applications from the best candidates, saving your HR team precious time. The matches you receive are also completely anonymous, which reduces unconscious bias, allowing your business to meet your social and discriminatory goals by selecting new staff based on their skill set alone. It only takes a couple of minutes to sign-up and you can post as many jobs as you like. Why not take a step into the future today? visit www.abodoo.com .